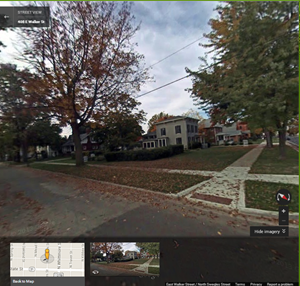 Here is a screenshot of my house on Google Maps. We will be removing the bushes this spring, as the previous owners (not the same people who owned this house when the photo was taken) never cut them and they were 6-7 feet high when we moved in. Crazy. We cut them back and they look pretty shabby, so we’re just going to remove them and have a bigger yard. Here is a screenshot of my first ever Quizlet! I love that the definitions are pre-populated with other user’s input! It made it a snap to create a set of flashcards for students to access. I will definitely use this in the future and will probably have students create their own sets so they can apply course vocabulary to the content we’re covering and relate it to their daily lives. Click on the image below to see the whole set! I checked out NuSkool and PBS Learning Media and found two different lessons I could use parts or all of to teach different concepts in Economics. 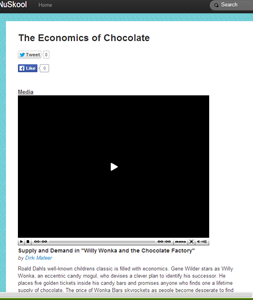 With the NuSkool site, I searched Pop Culture and Economics and found a lesson that uses Willy Wonka and the Chocolate Factory as a way to demonstrate the concepts of supply and demand. While I already have a similar lesson, using the video is a great reinforcement tool! On the PBS site, I found a lesson on where your tax money goes. 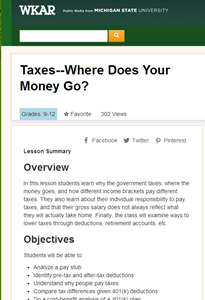 I have a unit on taxes and government spending and the lesson I found gives students a very practical and useful look at how much of their paychecks will go to taxes and what that money will be used for. I wish I would have done a lesson like this before getting my first job! I found three interactive tools that I haven’t used before (I think I have used PBS before, but it’s been a loooong time) that I can definitely incorporate into my teaching. Quizlet is a great tool to help students review key vocab terms from each unit, and I plan on adding sets to my class website for students to access during each unit. It is a great study/review tool before quizzes and to use throughout the unit to reinforce the new terms. I will also have students create their own sets, as I mentioned above, where they will use the terms in their own words and create sentences/scenarios that use the terms and show students’ understanding and application. NuSkool is fun because it adds recent and relevant media to lessons that students can relate to. I can definitely see using this in the future to supplement my lessons and to give students some more real world scenarios. Like NuSkool, PBS Learning Media has recent news and media that I can use with students. I’m really excited about the tax lesson I found because I find that unit (Taxes and Government Spending) particularly challenging to make interesting and engaging. I have picked up some ideas here and there, but video and practical application will make the content so much more interesting! That is good to know about NuSkool. We added it this year, but people have been kind of lukewarm about it. I think partly it is because it is still pretty limited in its content. Love PBS! They always produce such great content. Quizlet is a good one to have posted on a school website. Also, teachers can either create their own or link to ones that are appropriate for the lesson. It is helpful to parents and kids and not a lot of work on the part of the teacher. Pass the word on!